Whether you’re considering a second mortgage to consolidate your debt or complete some home renovations, there can be a lot that goes into making this financial decision. Because a second mortgage is a loan that goes against the equity you currently have on your property, this can be a risk to the ownership of your home. If this is an option you’re seriously considering, here are some basics to know before deciding to on this route. You may be use to the steadiness and consistency of the fixed rate on your first mortgage, but the rates associated with a second mortgage will likely be higher. Because, in the event of default, the first loan on a mortgage will be paid first, lenders for a second mortgage will charge higher rates and fees to validate the elevated risk they’re taking on. While there are lenders that can offer competitive rates, you’ll need to do your research to find one that works for you. 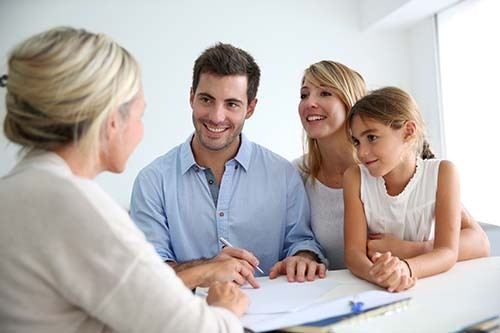 If you cannot go through your initial mortgage lender in order to secure a second mortgage, you may want to consider a private lending professional who may be able to provide a better solution for you. Because private lenders are not working within the constraints of a larger institution, their guidelines for documentation and qualification may be a little less stringent. While they may have their own set of guidelines for providing a second mortgage, it can be a better way to go. Is A Second Mortgage Necessary? In order to obtain a second mortgage, it’s important to be aware that you should have enough equity in your home to make the loan worthwhile. Because you will only be able to refinance 80% of your home’s value, it may not be worth the higher rates you’ll be paying if you’ve only been paying into your home for a short time. Before deciding if a second mortgage is right for you, make sure you consult with a professional to determine the best choice for you. There are a number of reasons that home buyers consider a second mortgage, from making large-scale home renovations to getting rid of overriding debt, but it’s important to consider if this option will work for you before moving forward. If you’re thinking about a second mortgage, contact your local mortgage professional for more information. This entry was posted in Home Mortgage Tips and tagged Home Mortgage Tips, mortgage, Second Mortgages by BJ Kirkpatrick. Bookmark the permalink.